The old saying is that “good fences make good neighbors,” but a fence is not your only option when creating a privacy barrier for your property. Hedges have been used for centuries. Depending on your personal taste and circumstances, you may want to opt for the more natural look of a living wall. We explore the differences between these two privacy screens below so that you can decide which is better for your home. One of the main factors in deciding between a fence or hedge is appearance. Fences have a harder, less natural look than a hedge. Using shrubs and flowers planted along the fence can soften that and also provide some protection from the wind and sun. 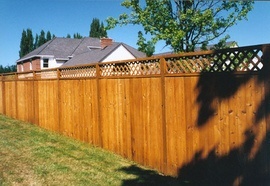 One of the most popular privacy fencing 1 material is treated wood, which can be left in its natural color or stained. Its neutral color tends to blend into the landscape better. There are many variations in the appearance of a privacy hedge, depending on the plant species used. The classic clipped hedge with straight, boxy sides is usually deciduous, meaning it loses its leaves each fall but still provides some screening through the winter months. A popular evergreen option is cedar, which provides year-round foliage and privacy. On a larger property, you can also opt for an informal mixed hedge with shrubs that will flower at different times throughout the season. If you are working in a tight space, a fence makes the most sense. If there is little room between your house and your neighbors, it may be your only option because, over time, a healthy hedge might encroach too far into the neighboring yards, cutting down on the space available. A hedge is well-suited to a larger property where the cost of installing a privacy fence 1 might be too high. You can buy smaller plants and space them farther apart if you are willing to wait longer for a privacy screen. A hedge is better than a fence at blocking out noise and dust from outside your property. The branches and foliage of a hedge effectively trap and filter out noise and dust from roads or adjoining properties, giving you a quieter and cleaner space to enjoy. It is best to call in a professional to plant a hedge or install a fence. In both cases, much digging is required, which is best accomplished with professional equipment. However, it is easier to plant a hedge than erect a fence. A landscaper can be especially helpful in deciding which shrubs to plant for a hedge, as they can guide you on growth rates and planting distances for various species. For example, a California privet hedge will grow to 10 feet tall within 3 years, while a cedar hedge takes up to 10 years to reach the same height. To install a wooden privacy fence 1, the post holes are dug first, and then cement footings 2 are poured to set the posts. Once the concrete sets, fence panels or rails 3 are attached. If rails 3 are used, an extra step of attaching the fence boards or pickets to the rails 3 is required. Finally, post caps 4 are placed atop to improve the appearance and prevent water from seeping into the exposed ends. The first step the landscaper will take when planting a hedge is to dig a trench about 1 foot deep and 2 to 3 feet wide. The next step is to augment the soil with compost 5 and fertilizer and place the plants at the appropriate spacing for the species and size. Once the planting is complete, the homeowner needs to water them well and continue to water as they take root and start to grow, especially in dry spells during their first season. Putting down a layer of mulch 5 discourages weeds. A quarter acre lot requires 209 feet of fencing. Materials for a 6-foot privacy fence can cost between $1,670 and $3,760. Fence installers charge $25 to $50 per hour and can install a 209-foot fence in 3 to 5 days (24 to 40 labor hours), for a total labor cost of between $600 and $2,000. The cost of the fence with labor and materials ranges from $2,270 to $5,760. A landscaper will take about 15 to 20 hours to plant a 209-foot hedge of Leyland Cypress at an average of $45 to $65 per hour, for a total labor cost of $680 to $1,300. The material cost for 42 plants averages $25 each for a total of $1,050. The overall cost for the hedge would be $1,730 to $2,350. A good windbreak is not solid but instead slows down the wind as it passes through so that the force of the wind is lessened on the other side. Hedges naturally perform this function, while a fence that is completely solid could be knocked over by a particularly strong windstorm. Thus, a good fence for windy locations should have gaps through which the wind can pass. In hotter climates, a hedge can create a shady area in your yard that will protect against both the sun and wind. On the other hand, in a drought-prone climate, a fence will not use up precious water resources. Planting a hedge is a great way to encourage and protect wildlife in your neighborhood. A well-maintained hedge will be home to a variety of wild animals, including birds and small mammals looking for protection from both adverse weather and predators. It is even better to plant a mixture of different species in the hedge, including ones that produce berries that animals eat. A fence, however, forms an impenetrable barrier for small animals that can leave them trapped and without shelter. Unfortunately, fences will not keep out pest animals such as raccoons or skunks. Every tree or shrub planted can help in the fight against climate change. Woody perennial shrubs like holly, box, or cedar absorb carbon dioxide and produce oxygen, playing their part in improving air quality. Many varieties thrive in even inner-city conditions where they are an especially valuable addition. If you opt to install a fence, some materials are more environmentally friendly than others. Look for lumber certified by the Forest Stewardship Council, if possible, and consider bamboo fencing, which is sustainably harvested. Metal fencing is long-lasting and can be recycled, but vinyl 6 fencing leaches toxins into the ground and cannot be recycled when it is replaced. You may need to obtain a permit for installing a fence or hedge. It varies in each municipality, so do your research and work with your fence installer or landscaper to find out what is required before you begin. In addition, limits are often placed on how tall a fence or hedge can be, especially at the front of your property or on a corner lot where traffic visibility may be impeded. It is also important to consult with neighbors before installing a fence or hedge, even if your municipality does not require it. Regulations will probably require you to build a fence with the front side facing your neighbor’s yard. As well, it is usually a good idea to plant the hedge or install the fence a foot or more within your property line to avoid potential conflict over its placement. This is an especially good idea if you plant a hedge because over time, the shrubs will grow out into the space on both sides. A hedge can add up to 5% to the resale value of a house, while a fence may return 50% or more of the costs in the sale price. However, in either case, it depends on the condition. A fence that needs to be painted or stained or a hedge with dead or dying plants or is too small to provide privacy will not be an asset when selling your home. 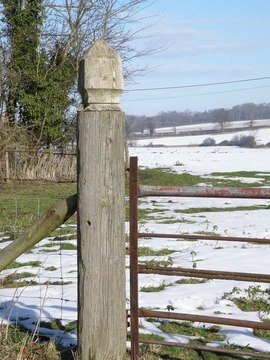 An optional fence design detail, positioned on top of each fence post, used to give the fence a \"finished\" look and to prevent water from entering the posts. 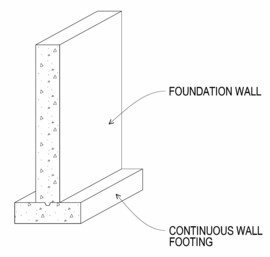 Cost Considerations: Basic vinyl fence post caps average $3 to $6 per cap, although more intricate post caps can cost up to $20 to $30 each. 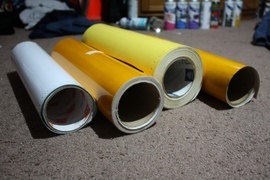 PVC post caps average $4 to $8 each. Wood post caps typically run between $4 and $10, but it depends on the type of wood used. Metal post caps start at about $25 and glass or solar post caps typically run $30 and up. Lighted post caps can run anywhere from $25 to $200.